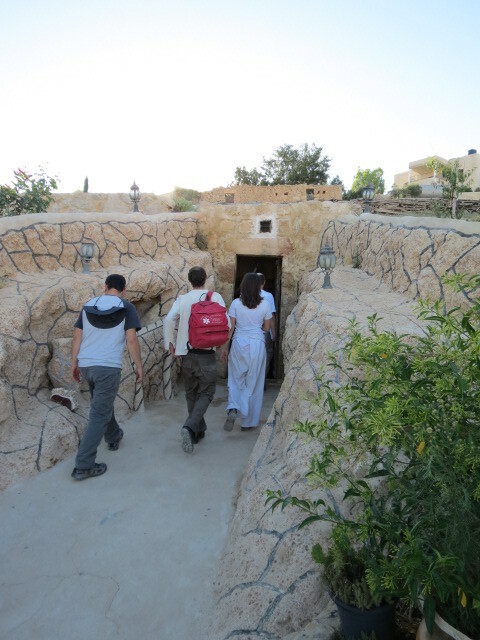 The village of Darejat was established over 200 years ago when its residents (Fellahin, or peasant-farmers from Mount Hevron) purchased the land from local Bedouins in the area and created their cave-dwelling community. The two groups of Arabs do not intermarry. 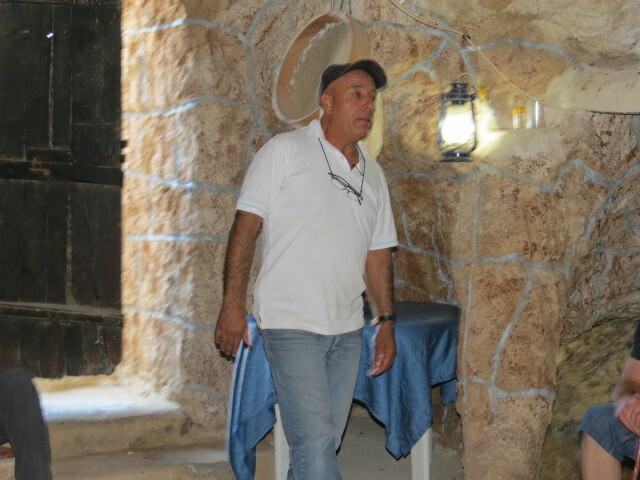 This is the only Fellahin community in the Negev and perhaps the last cave-dwelling community in Israel. 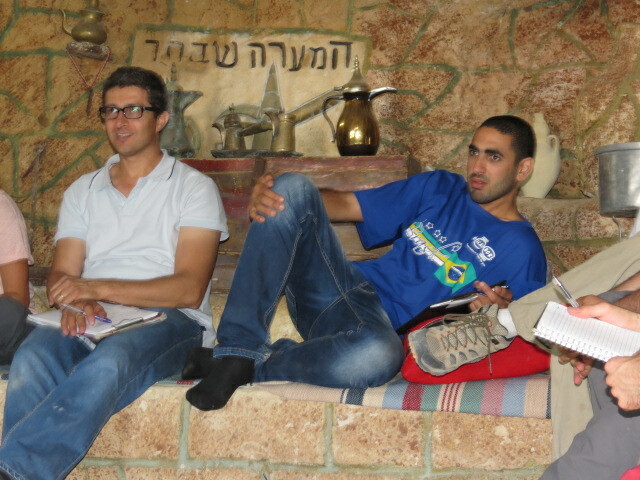 Our host, Jaber, a licensed tour guide, explained to us how he turned his old family cave home into a tourist attraction and B&B. 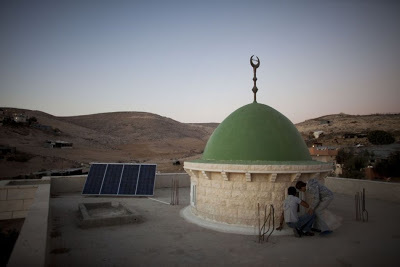 Photovoltaic solar panels provide electricity to a mosque in the Bedouin Arab village of Darajat in Israel’s Negev desert. The village is not yet connected to the national electricity grid. On your way to Darejat be sure to stop at Mitzpe Karyut to view the panorama to Biq’at ‘Arad. I passed through this point several time, once on Shvil Yisrael and once on a hike in Har Hevron. It is a great place to take a break.